Back at the start of the spring/summer season, Nicholas Daley dropped at The Bureau and right from the off it looked different. Among the store’s expected revisions of military and workwear styles, suddenly there was this slightly askew, slightly effete, slightly (dare I suggest) fashiony looking brand. Billowing, pleated parkas, wildly irregular hemlines, bows on side seams; easily enough to wrong-foot the average orSlow foot-soldier. And yet, as the season played out, it started to make sense. Styles which, at first glance, seemed a little sashay-happy, began to reveal themselves as imaginative and gently reformist expressions of practicality. In other words, entirely complimentary to The Bureau’s usual inventory. Nicholas Daley’s relevance has only become clearer with the recent autumn/winter 17 drop. 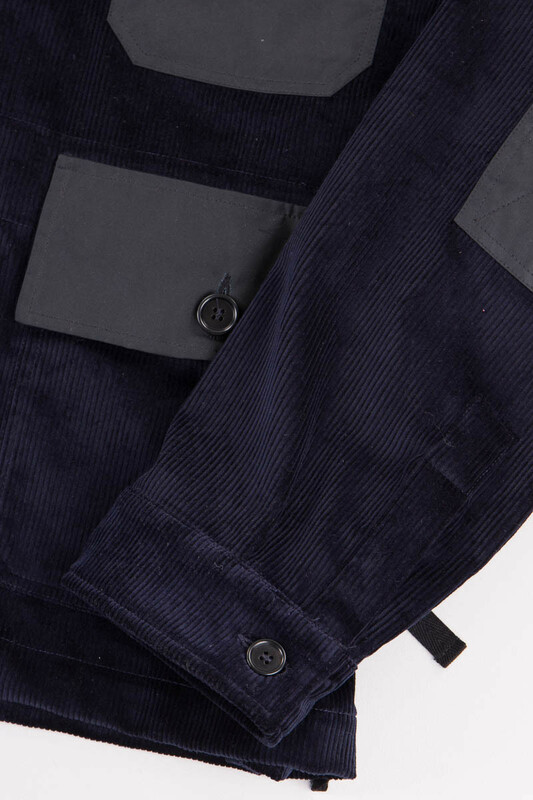 When corduroy is presented crisply, box fresh and blemish-free, there are few fabrics that pull off useful-luxe better. And this jacket? Well, if it’s not damn near perfect I’d like to see what is. 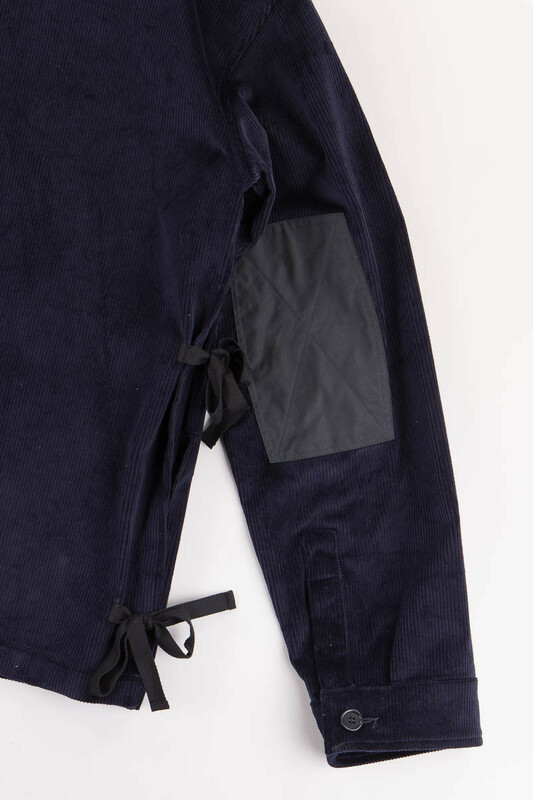 Produced in an exclusive run for The Bureau, the piece takes the Nicholas Daley Factory Jacket (yep, the style with the bows on the side seams) chops it from deep navy cotton cord and adds black waxed cotton to the chest pocket, elbows and pocket flaps. Simple, but interesting. Detailed, yet subdued. It’s flawless. Those on the fence about unfamiliar brands, take the time to get familiar with Nicholas Daley. 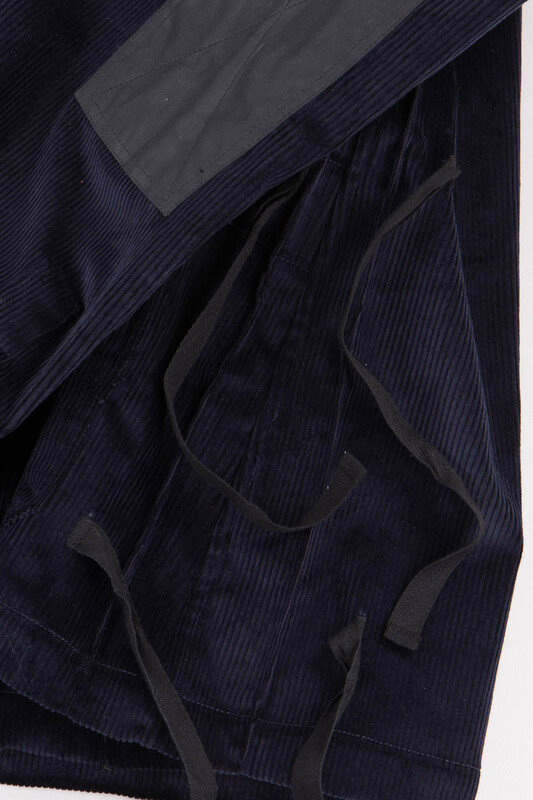 Using only traditional British and Irish cloth, this imprint has created something genuinely fresh – the beauty of the make matched only by the thoughtful evolution of form. I must admit I’m seduced by this line. 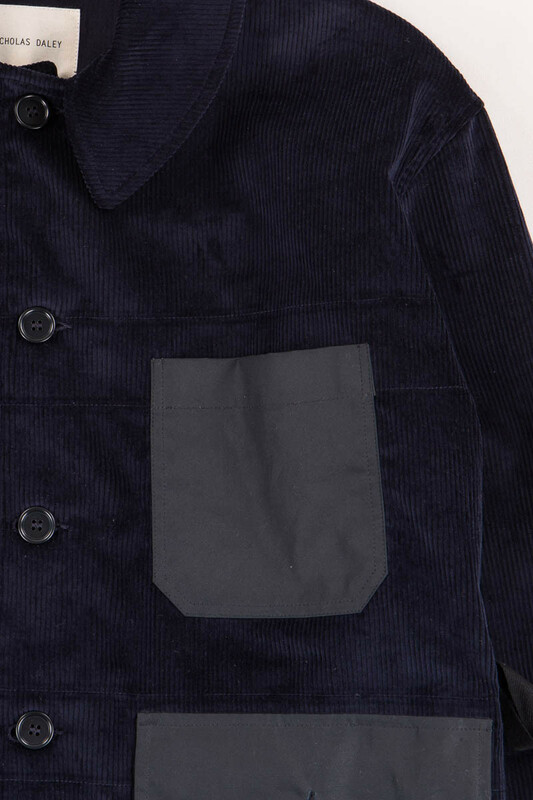 I see, inscribed between the wales of this corduroy jacket, what it means to be alive right now. What it means to be alive, sitting in a Peckham cafe, sipping a cold latte and really, really wanting an exceptional corduroy jacket. 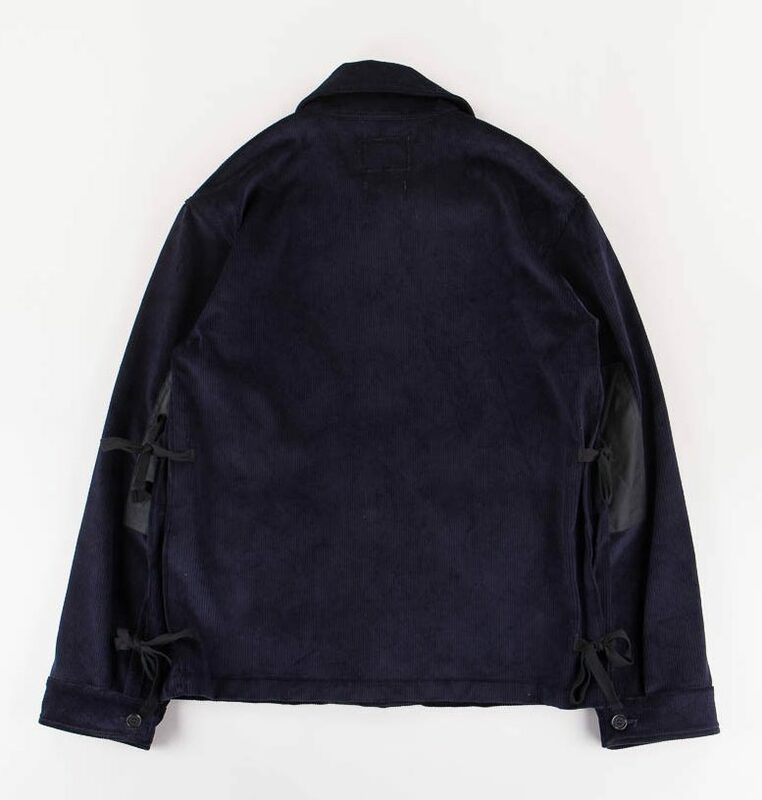 It’s a nice jacket, shown on his Instagram quite frequently. 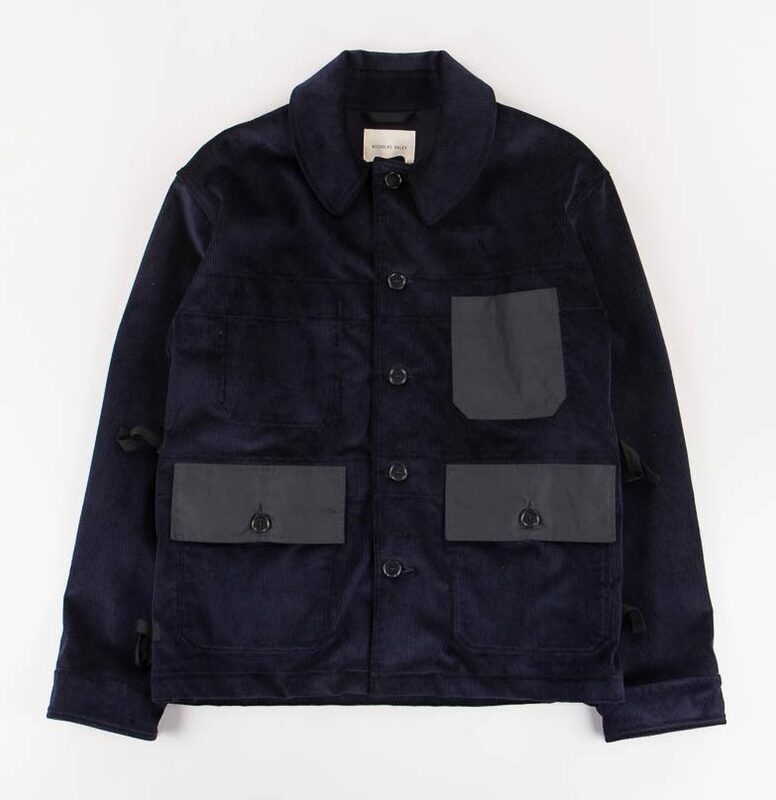 Apparently Daley used to design for Nigel Cabourn. Going by Cabourns lack of inspo these days, I think maybe Daley was the talent!